Stirred by these new musical experiences, the sisters now return to their duo with a fresh vision. They are spending 2018 deep in rehearsal, reconstructing and re-exploring their sound, unearthing old songs, as well as composing and creating new music. The culmination of this will be their long awaited fourth studio album, to be released in 2019. "A definitive album of the current English Folk scene." 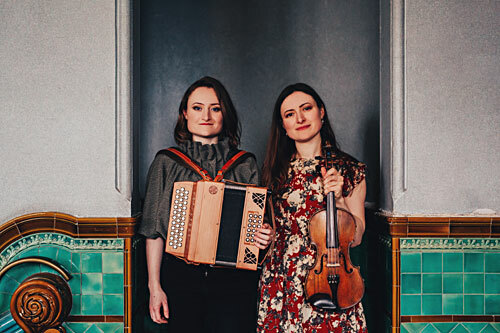 "Inspired arrangements of traditional music, striking versions of tricky ballads – this is traditional folk in a fine, fresh form." "An album of singular and iconic beauty." "Vocals shimmering above fiddles, viola, melodeons and concertina, [this album] casts its spell"
one of the most atmospheric and erudite albums you’ll hear this year"